Zachary Davis is a middle school English teacher currently living in Valparaiso, Indiana. He graduated from Purdue University with a BA in Secondary Education, writing his final educational research paper on integrating film studies and graphic novels into writing and analytical reading for young students. When he isn't teaching, he is can usually be found hiding behind a book or watching movies in darkened rooms. 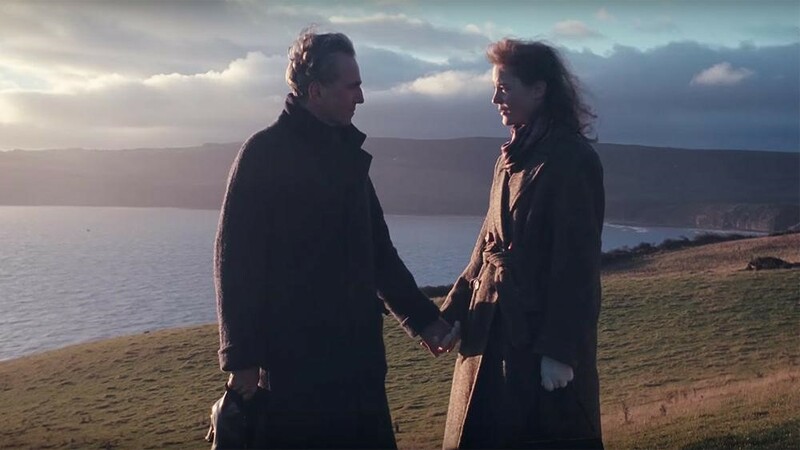 There is a key scene in Paul Thomas Anderson’s 2017 film, Phantom Thread, in which Reynolds Woodcock (Daniel Day-Lewis) confronts a silent, glaring fever-induced hallucination of his mother. As he looks at his mother, who is wearing the same wedding dress that he crafted for her and that would become the impetus of his life-long creation process, Alma—his new muse—enters to tell him that his fever has gone down. As Alma walks about the room, the mother figure disappears and only Alma remains. This is the moment when Alma finally achieves what she has wanted - replacing Woodcock’s mother-figure within his own consciousness and making him “open” to her. It is no coincidence that this marks the moment when Reynolds stops keeping Alma at a distance. He proposes to her the next day. What has happened here is an interesting case of reprogramming the mental imprinting of consciousness -- a theory proposed by Timothy Leary and expanded upon by the great Robert Anton Wilson. As Leary theorized, our brain operates on eight circuits of consciousness -- different “brains” imprinted on us throughout our lives that determine our experiences of reality. The first circuit—that of the oral bio-survival circuit—is concerned with nourishment, safety, trust, and suspicion. 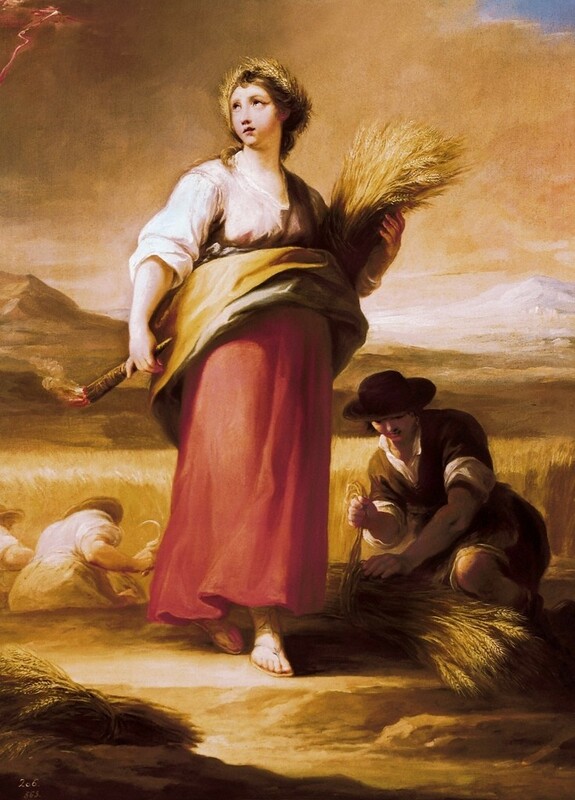 Joseph Campbell, in his Jungian-inspired writing on the monomyth, would say that a hero’s search for a “mother-goddess” figure would correspond to our need for nourishment and security. Once we are out of the womb, our hero’s journey begins; the mother-goddess figures prominently in the search for meaning. Woodcock spends the majority of the film psychologically searching for a mother to replace the one he has lost -- though he does not know it. He simply identifies the fact that “curses” seem to exist for people, and his mother’s absence seems to be his. His sister has replaced his mother in a certain sense; she is stern, protective, and “always right.” She gets rid of Reynolds’s girlfriends for him when they have outgrown their usefulness. She addresses Reynolds’s issues of trust with the protective instinct of a mother, and not coincidentally, seems to be around Reynolds during every meal. When Alma does not receive the attention she feels she deserves from Woodcock, she knows she needs to make her impression on his survival-circuit stronger. But while Reynolds’s sister provides one half of the circuit through her work on helping Reynolds feel safe, Alma goes after the other half of the circuit by becoming the helping goddess that can nurse him through his ailments. She is not just his muse, but the ultimate ally as well. This is why Alma poisons Woodcock just enough to make him sick. When he is ill, his other programmed defensive circuits are dropped and he is reduced to infancy - then, Alma can swoop in and reprogram his circuitry herself, putting her back in charge of Reynolds. But the effects do not last. Reprogramming a circuit created in infancy is difficult. For many, years of therapy cannot even begin to touch the surface of the issue. It requires a sort of recurring reprogramming. And both Alma and Reynolds seem to recognize this. As Reynolds falls back into keeping Alma at a distance after marriage, Alma tries to get back into his mental programming. She gets rid of everyone at the “House of Woodcock”—including the safety net of the Woodcock sister—and prepares a surprise dinner for Reynolds in a attempt to return Woodcock to his original bio-survival mode. But it doesn’t work because Reynolds does not trust her actions - he accuses her of being a spy, of being treacherous -- his trust and suspicion circuits are on high-alert. He cannot even seem to help the defenses -- they are simply there, always on, always ready to secure him and keep him safe. In order for Alma to get her autonomy and control on Reynolds back, she goes back to her original strategy: poison him, reduce him to infancy, and reprogram him all over again. This time, however, Alma’s secret—her own “phantom thread”—is shown to Reynolds. She explains it to him in direct terms, saying, “I want you flat on your back. Helpless, tender, open...with only me to help.” She wants him reduced to the “hungry boy” that she knows he truly is, with only Alma as mother-goddess to nourish him. He gets this nourishment from her in the form of a poisoned mushroom omelette that he watches Alma cook, which leaves him with his suspicions on high-alert. And Alma confirms for him her own thread -- that the poison will slow him down, take away his control, and allow her to reprogram him. The thing is -- Reynolds is in agreement. He eats the omelette willingly, and later, in the bathroom as the poison takes hold, says, “Kiss me, my girl, before I’m sick.” They have reached an understanding and even agree to call in the doctor in case it gets too bad. Reynolds needs to be taken care of - he wants his mother. And Alma wants a life with Reynolds that includes motherhood. The result is unconventional at best: a recurring pattern of reprogramming that keeps their mental circuits operating in renewal of their love. Disturbing? Sure. But at least they have arrived at a common understanding of each other’s secrets -- the phantom threads weaving their patterns together. Because the circuits our brains operate on—the mental programming that underlies our every actions—are the phantom threads that keep us operating in the same patterns, for better or worse. Being aware of the need to reprogram them in order to achieve better versions of ourselves, if only for a little while, may be the best some of us can hope for.